It is not rare that a majority of grand artworks can be found in private collections, rather than in a museum. Mostly it is historical art, and if it is contemporary, rarely it is made by indigenous people. For instance, the present-day art by the Aborigines is quite up to date, despite the presence of traditional beliefs. A Washington-based art museum, The Phillips Collection is hosting an exhibition Marking the Infinite: Contemporary Women Artists from Aboriginal Australia, opening on 2 June. In order to bring the domains of the women Aboriginal Artists closer to the wider audience, this privately-owned institution has loaned sixty-eight works by nine artists from the collection of Debra and Dennis Scholl, which will be displayed at the venue until 9 September 2018. Featured image: Angelina Pwerle – Bush Plum, 2010. Synthetic polymer paint on canvas 46 7/16 x 78 3/8 in. 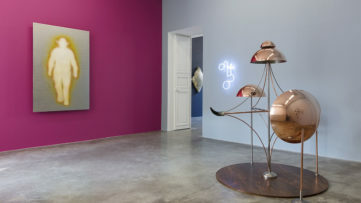 Collection of Debra and Dennis Scholl © Angelina Pwerle, courtesy Niagara Galleries, Melbourne. Photo: Sid Hoeltzell. All images courtesy The Phillips Collection. One of the most highly regarded artists in Australia’s Northern Territory, Nonggirrnga Marawili produces paintings which reflect great devotion to her culture, history, and environment. She learned to paint from her husband Djutadjuta Mununggurr, the leader of the Djapu clan and a painter. The legacy of the artists family members hoovers through her work. Printmaking was her first medium, and Marawili was very successful with it, but in recent times she has switched to painting. Featured image: Nongirrnga Marawili – Yurr’yun, 2015. Earth pigments on wood, 103 1/8 x 7 7/8 x 7/ 7/8 in. 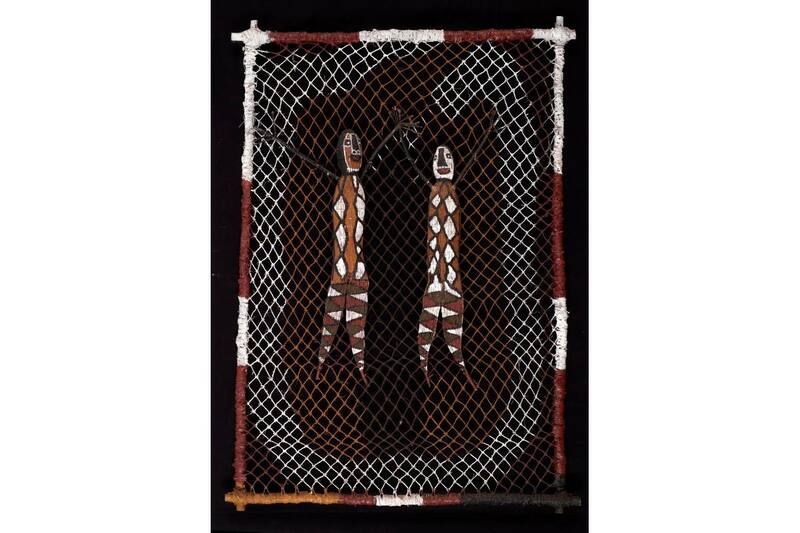 Collection of Debra and Dennis Scholl © Nonggirrnga Marawili, courtesy Buku‐Larrnggay Mulka Art Centre, Yirrkala. Photo: Sid Hoeltzell. 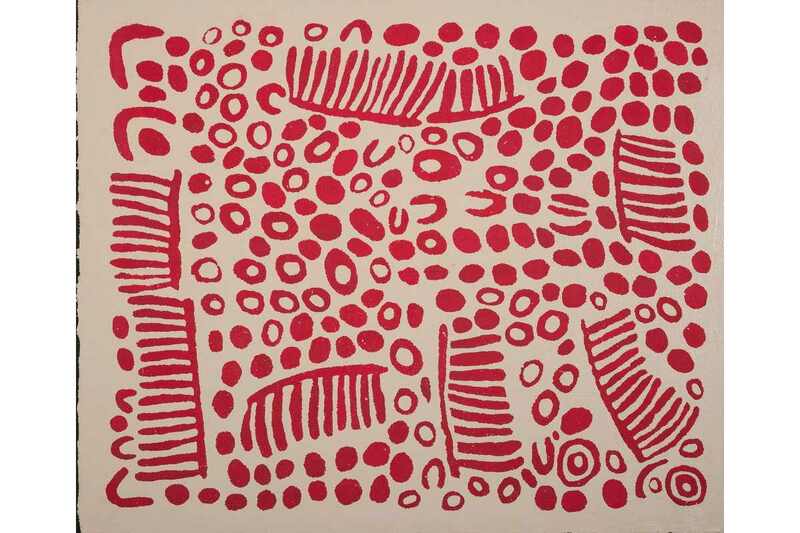 Wintjiya Napaltjarri began her artistic career in 1994 by participating in a collective painting project. Aside from painting, this artist works with drypoint etching and printmaking. A dominating motif in her entire oeuvre is the representation of the flying ant’s eggs, as well as of hair/string skirts usually worn for ceremonial purposes. 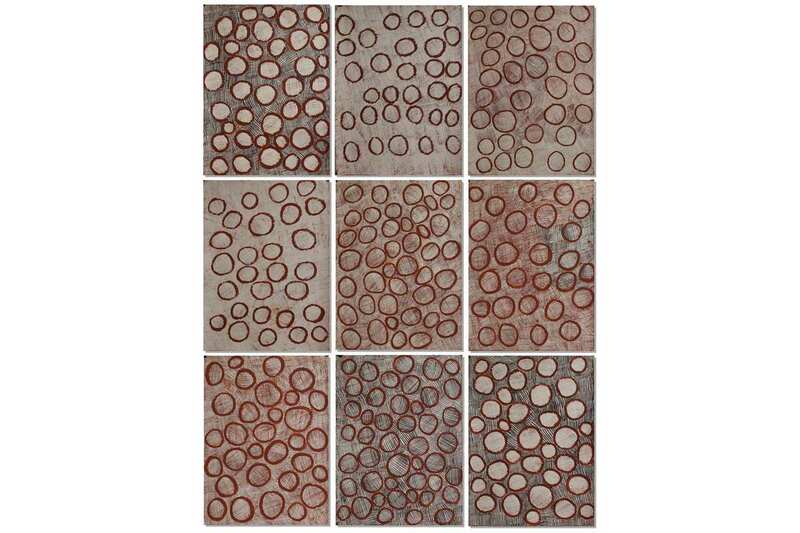 Napaltjarri mostly incorporates strong red or black color against a white background. During the course of time, the artist was honored with various awards and her works belong to several collections, from the one of the National Gallery of Australia to the Art Gallery of New South Wales. Featured image: Wintjiya Napaltjarri – Women’s Ceremonies at Watanuma, 2007, Synthetic polymer paint on canvas, 59 7/8 x 71 7/8 in. 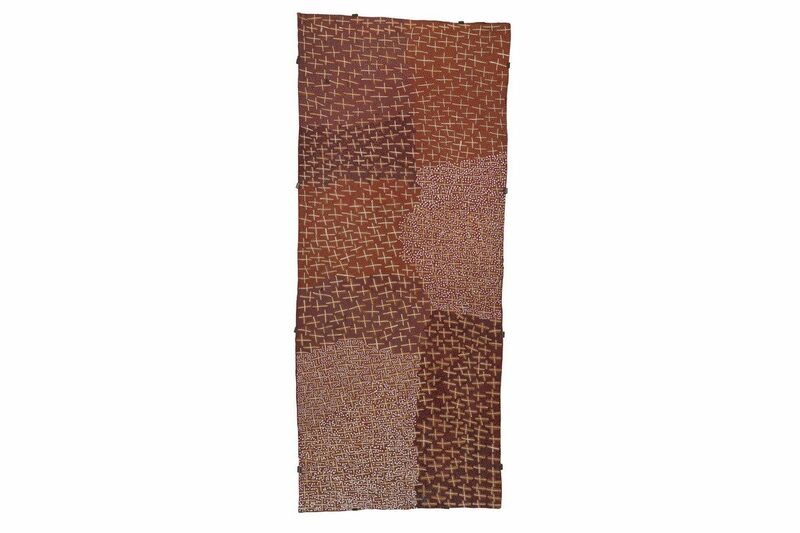 Collection of Debra and Dennis Scholl © Wintjiya Napaltjarri, licensed by Aboriginal Artists Agency Ltd.,courtesy Papunya Tula Artists. Photo: Sid Hoeltzell. 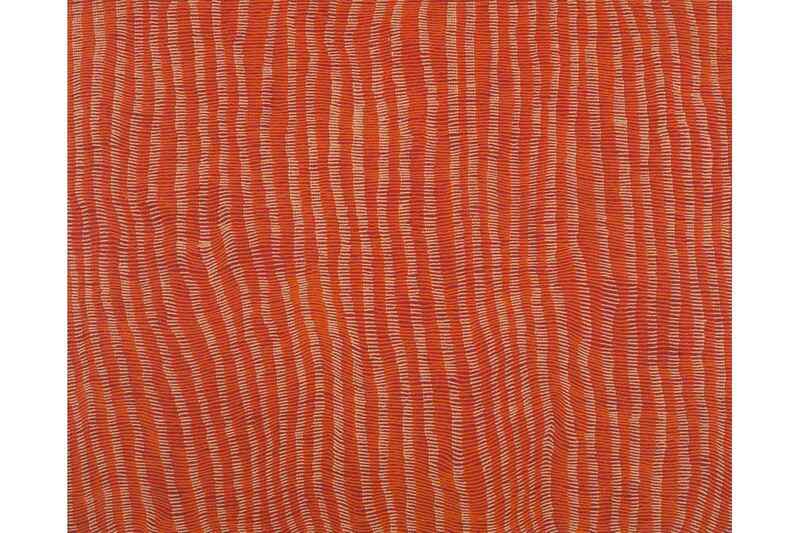 Yukultji Napangati belongs to the generation of women artists who were influenced by the male artists of Papunya Tula, the art group formed in 1972 in Australia’s the Western Desert. 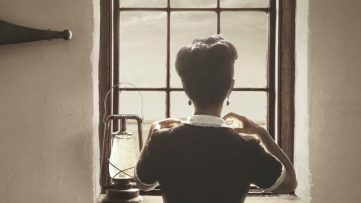 She comes from a family which lived in a completely nomadic way, and after her father’s death in 1980, the family went into the inhabited world. Despite all the obstacles of adaptation, Napangati started painting in the early 1990s and has focused on the stories and songs from her dreams. Since then, she maintains a sensible, dreamy, yet simple practice and her works are to be found in different collections across Australia. The artist Angelina Pwerle was born in the remote Australian area of Utopia, which is inhabited by Aboriginal community, many of them being artists. 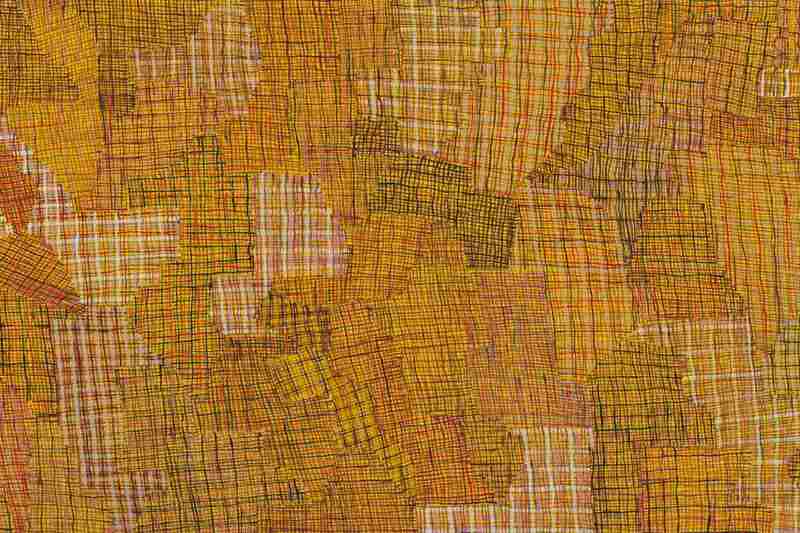 Pwerle started producing art in 1986 primarily by exploring the Indonesian technique of batik, and she started using canvas and acrylic much later. The bush plum dreaming seems to be the most dominant occupation of hers and is best characterized by dense dotting and sophisticated color palette. Her works can be found in various public and private collections, including the National Gallery of Victoria and the National Museum of Art, Osaka, Japan. Featured image: Angelina Pwerle – Bush Plum, 2010. Synthetic polymer paint on canvas 46 7/16 x 78 3/8 in. Collection of Debra and Dennis Scholl © Angelina Pwerle, courtesy Niagara Galleries, Melbourne. Photo: Sid Hoeltzell. Lena Yarnikura is best known for fiber sculpture of animals and Wurum spirits which reflect the artist’s immense craftsmanship of string-bag weaving and pandanus basketry learned from her mother who was also an acclaimed artist, as well as devotion to Aboriginal tradition. Yarnikura’s often collaborator is none other than her husband Bob Burruwal, with whom she produces sculptural installations that honor the ancestral presence. Her works are represented widely across Australia and can be found in various collections from the Djomi Museum at Maningrida to Queensland Art Gallery. Featured image: Lena Yarinkura – Yawkyawk, 2015. Pandanus Spiralis, wood, feathers, earth pigments, and synthetic binder, 62 1/4 x 39 3/8 in. Collection of Debra and Dennis Scholl © Lena Yarinkura, courtesy Maningrida Arts and Culture. Photo: Sid Hoeltzell. An Australian Aboriginal artist and women’s leader from the Yolngu people, Gulumbu Yunupingu was one of the most prolific artists from the region of the Northern Territory. She was a member of the Gumatj and sister of Aboriginal leader Galarrwuy Yunupingu. Her art practice combines various elements of traditional Yolngu style and modern tendencies. Over the years she gained quite a recognition and was awarded on several occasions for her contribution to contemporary art. At the Australian National University in 2012, her painting on wood titled Garrurru (Sail) was installed, and unfortunately the same year the artist passed away. Featured image: Gulumbu Yunupingu – Ganyu (Stars), 2003. 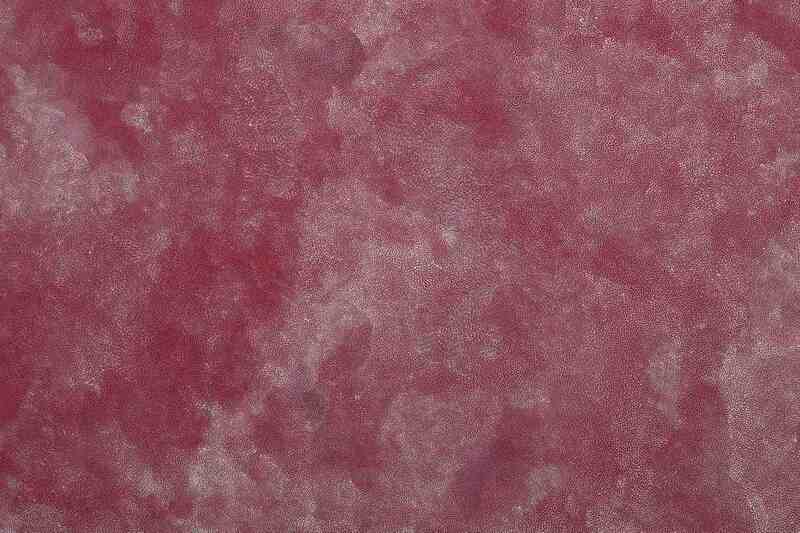 Earth pigments on bark, 70 7/8 x 31 1/2 in. Collection of Debra and Dennis Scholl © The estate of Gulumbu Yunupingu, courtesy Buku‐ Larrnggay Mulka Art Centre, Yirrkala. Photo: Sid Hoeltzell. Nyapanyapa Yunupingu came to prominence with peculiar and independent oeuvre. 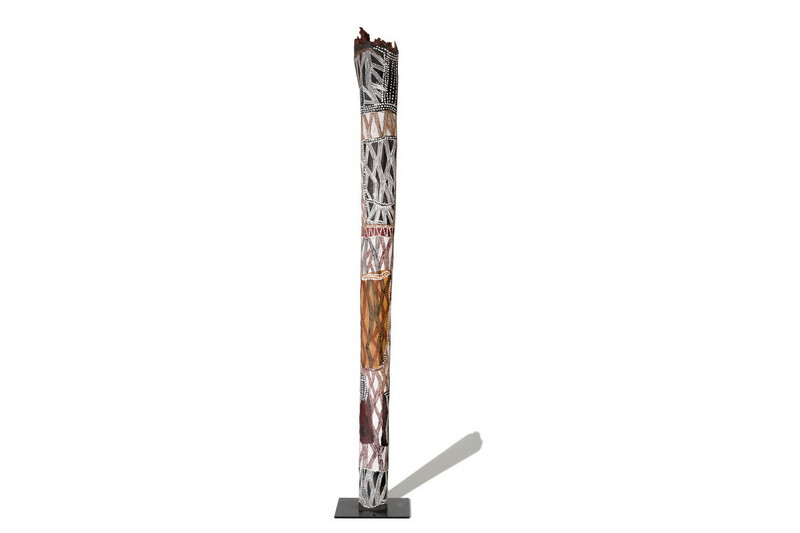 By moving away from bark-painting tradition within the Arnhem Land region, the artist has managed to construct an amazing aesthetic fulfilled with the natural color palette (mostly black and ochre) and themes of everyday scenes from nomadic life to the wondrous depictions of Sydney. 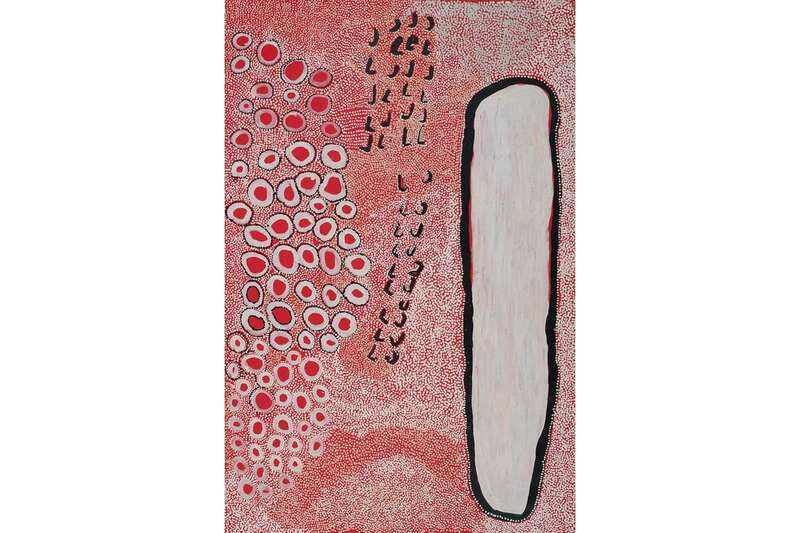 Yunupingu learned to paint from her father, Munggurrawuy Yunupingu, a well-known artist. Her astounding prints have been very popular for years, and the majority of those editions were exhibited around the world. 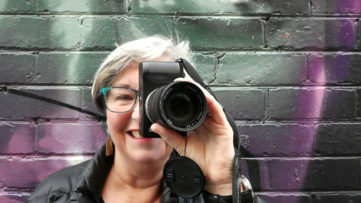 Australian collectors have acquired her work in a number of occasions and she has shown her works at the WA Indigenous Art Award 2011 and the Sydney Biennale in 2012. Featured image: Nyapanyapa Yunupingu – Circles, 2014. Felt tip pen and earth pigments on paper, nine panels of 30 x 22 in. Collection of Debra and Dennis Scholl © Nyapanyapa Yunupingu, courtesyBuku‐Larrnggay Mulka Art Centre, Yirrkala. Photo: Sid Hoeltzell. The artistic practice of Carlene West is mostly characterized by the use of the visual language of the Western Desert region, as well as the textural brushwork of stark whites and fine red dotting. She was born in southern Spinifex country at Tjitji and moved to the mission of Cundeelee as a teenager with her parents. West was one of the first artists involved with the Spinifex Arts Project (established in 1997 as part of the Native Title documentation process), which allowed her to show her works around Australia. Featured: Carlene West – Tjitjiti, 2013. Acrylic on linen, 71 5/8 x 47 5/8 in. Collection of Debra and Dennis Scholl © Carlene West, courtesy Spinifex Arts Project, Tjuntjuntjara. Photo: Sid Hoeltzell. Last but not the least is the acclaimed artist Regina Pilawuk Wilson, known for remarkable weaving skill and innovative painting technique which combines traditional and contemporary elements. With her husband Harold Wilson, Regina has established the Peppimenarti (meaning ‘large rock’) Community as a permanent settlement for the Ngan’gikurrungurr people in the Daly River region in 1973. In 2003, she won the General Painting category of the Telstra National Indigenous and Torres-Strait Islander Award, and her works are situated in the collections The Gallery of Modern Art (Queensland Art Gallery), The British Museum and several other collections in Australia and abroad. The Phillips Collection invited Pilawuk Wilson to travel to the United States and paint a mural in the museum’s courtyard. Featured image: Regina Pilawuk Wilson – Syaw (Fishnet), 2014. Synthetic polymer paint on canvas, 47 1/4 x 78 3/4 in. Collection of Debra and Dennis Scholl © Regina Pilawuk Wilson, courtesy Durrmu Arts, Peppimenarti. Photo: Sid Hoeltzell.